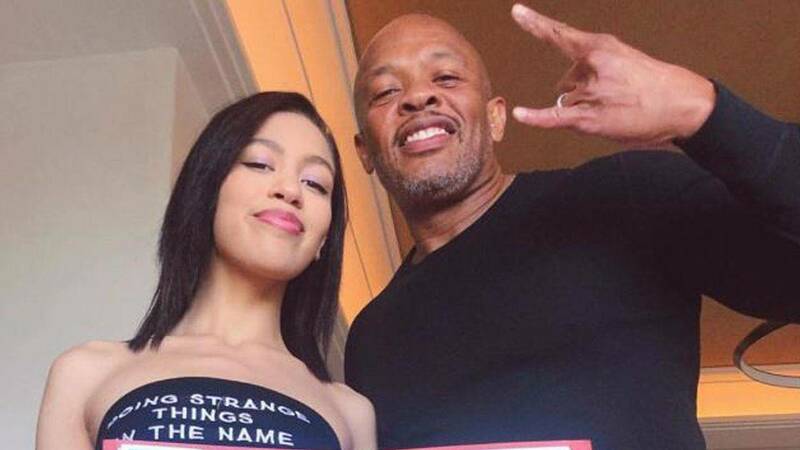 Rapper and producer Dr. Dre probably didn't realize that when he posted a picture of his daughter Sunday morning, boasting about her acceptance to the University of Southern California, that it would get him so much backlash. The caption read, "My daughter got accepted into USC all on her own. No jail time!!!!" Many people took it as a reference to the college admissions scandal involving high-profile celebrities like Felicity Huffman and Lori Loughlin. Parents have been accused of bribing their kids' ways into several schools, including USC. Social media users are claiming the daughter of Dr. Dre, whose real name is Andre Young, didn't exactly get into the university "all on her own" either. The mogul has a building at the school with his name on it: the USC Jimmy Iovine and Andre Young Academy for Arts, Technology and the Business of Innovation. He made the $70 million donation to the school with record executive Jimmy Iovine in 2013. By Sunday afternoon, Dr. Dre’s congratulatory post was scrapped from his Instagram account. But social media users are still tearing up his comment section. "You paid 70 million to send her and she still didn't get into Ivy League!" one user wrote. "Sorry wasn't cool. Could've just posted you were happy and not needed to make a dig at someone else's expense," said another. Another said simply, "YOU SET THAT SHOT UP YEARS AGO! SHADY SHADY SHADY." For now, Dr. Dre is remaining tight-lipped on the issue.